Educating, collaborating, and sparking ideas for maximizing the technology that matters. 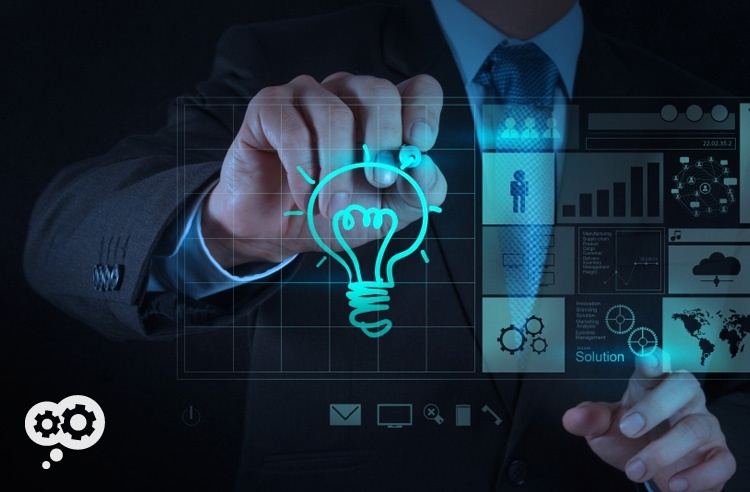 The Technology Advocate provides technical advise grounded in the business case and tailored to address the unique needs of each client organization. Are you making good decisions about investments in your technology infrastructure? What business goals are you trying to accomplish? For many companies, the answer to both questions is a resounding "um..."
Organizations of all sizes use technology to conduct business functions ranging from simple communication to complex "big data" data analysis. Sometimes the adoption of technology is well conceived and cost effective, however all too often the acquisition and deployment of new technology results in projects that are over budget, delivered late, and result in a significant disruption of daily operations. A lack of engagement by executive management. Because of more finite financial resources and limited access to high-quality technical talent when compared to large corporations, small and medium-sized businesses (SMBs) are particularly challenged. SMBs typically outsource technology management to a “technology guy” or hire 1 or 2 technically-minded individuals to maintain and support the existing infrastructure. These individuals are typically grounded only in the maintenance of technology and are not comfortable aligning technical initiatives with business goals. Because executives have typically abdicated technical decision making to maintenance-level personnel, many initiatives do not achieve measurable ROI, don't meet expectations and fail outright. Executives of small and mid-sized organizations have historically relied upon the guidance of two primary groups of professionals: 1) Attorneys for legal advice, and 2) CPAs for financial auditing and decision making. With the ever-increasing ubiquity and diversity of technology, combined with the potential advantages a firm can gain through its deployment, it has become apparent that a third executive-level professional service is needed; that of the Technology Advocate. In the today's uber-competitive business marketplace, those firms that most creatively develop technical initiatives, effectively implement technical projects, and leverage the benefits that technology provides, will be the firms that thrive and succeed. Those that perpetuate the mistakes of the past will not be able to leverage the advantages that technology can provide, will continue to operate using manual methods, and may end up at a competitive disadvantage in the marketplace. The Technology Advocate provides client-focused advise to executives and helps ensure smart decisions regarding technology. The Technology Advocate is closely related to the CIO and CTO positions currently found in larger organizations, and in the case of small and mid-sized firms, exists as an outsourced professional service. Ultimately, the Technology Advocate provides technical advise grounded in the business case and tailored to address the unique needs of each client organization. If you are seeking client-focused IT Consulting regarding your business technology direction, let's visit! Whether you're evaluating Datamax as a potential technology partner or simply trying to find complementary ideas on how to maximize your current technology investments, we trust The Datamax Thinking Blog will be of benefit. It offers thought process and thought leadership for optimizing business technology, promoting collaborative discussion, and sparking new ideas to provide your organization with more power to prevail. Should any of the ideas or thinking expressed within our Blog strike a chord, we would love to visit!